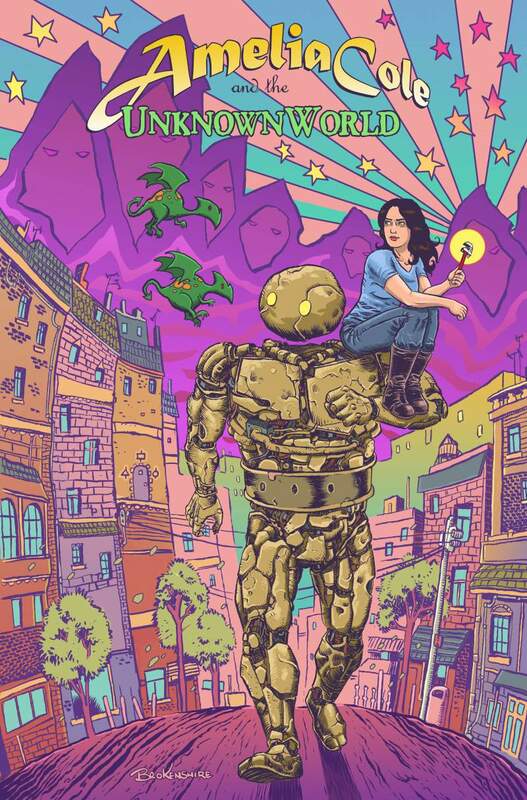 Wonderlands graphic novel expo returns to Sunderland this month, showcasing the work of a host of internationally renowned artists. The celebration of creativity is a must for fans of sequential art, but also offers much for comic book newbies to enjoy too. Taking place at University of Sunderland’s CitySpace on Saturday 28th May, the free programme has been curated by Bryan Talbot, an illustrator of much renown whose work includes Judge Dredd, Batman, Heart of Empire, Alice in Sunderland and his current Grandville series of steampunk detective thrillers. A huge range of disciplines and varied examples of graphic novel art will be up for discussion, and the lecture programme runs the gamut from focuses on Japanese comics and autobiography, to collaborations and the future of the industry. Highlights include a discussion on self-publishing and DIY writing, with award-winning comic illustrator and writer Tim Perkins, The Red Shoes duo Metaphrog and innovative creator Yomi Ayeni, whose latest work entitled Clockwork Watch is a retro-futurist steampunk/Victoriana story told across graphic novels, interactive theatre, online and film; the Manga phenomenon goes under the microscope in a lecture entitled Make Mine Manga! (and other Asian Graphic Novels), where Paul Gravett, author of Manga: Sixty Years of Japanese Comics, discusses the genre. A fascinating discussion on real life graphic novels sees Yorkshire cartoonist and illustrator Kate Charlesworth; Darryl Cunningham, whose books on controversies surrounding climate change, electro-convulsive therapy, the moon landing, homeopathy, evolution and other contentious subjects come highly recommended; Suzy Varty, who produced the first British women’s comic, Heroine, in 1978 also joins the discussion alongside Una, whose self-published graphic narratives have explored disability, psychosis, political activism and violence against women and girls. In what promises to be an insightful workshop, Mary Talbot presents her graphic novel The Red Virgin and the Vision of Utopia, about the life and times of Louise Michel, the 19th century anarchist firebrand and feminist revolutionary. Attendees can also enjoy a spotlight ‘in conversation’ event on the work of superhero artist Doug Braithwaite, who has worked on many of the industry’s flagship titles for over 20 years including Incredible Hulk, Justice, Thor, Wolverine, Green Arrow and many more. Satirical cartoonist Steve Bell leads a presentation on what it’s like to lampoon the world’s politicians, introduced by Northumbria University lecturer Mel Gibson. To end the day’s entertainment, the future of the format is up for discussion, with Tim Pilcher, co-founder of bilingual comics publishing house Les Cartoonistes Dangereaux and Glasgow Comic Con producer Sha Nazir. If you find yourself inspired by all the wonderful creativity on display, there are plenty of workshops to get your teeth into. Highlights include Karrie Fransman’s foray into experimental comics, including stunning printed graphic novels, digital interactive comics and her own experimental works; Laurence Grove offers a presentation on the world’s first comic book, The Glasgow Looking Glass; Tim Perkins explains how to do digital colouring, while Metaphrog present their fresh take on the Hans Christian Andersen classic folk tale, The Red Shoes. Exhibitions will feature the work of some of the world’s most celebrated artists, including work from publishers including Fanfare’s English translated titles, Disconnected Press, Wizards Keep, Forbidden Planet, Myriad, BHP Comics and Titan Books, plus local publishers Analogue Press and Paper Jam Comics. Whether you’re a die-hard fan of the genre or you’re just curious, Wonderlands’ celebration of all manner of graphic art will be insightful and inspirational. Wonderlands Graphic Novel Expo takes place at University of Sunderland’s CitySpace on Saturday 28th May.